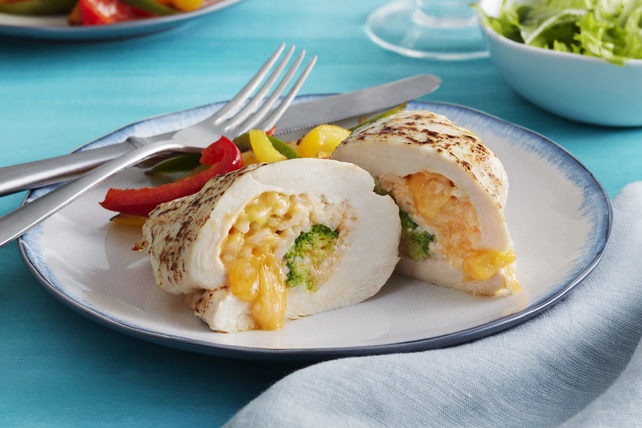 If you are looking for easy ideas to vary the preparation of the chicken, you’ll love these recipes chicken breast stuffed with different flavors. 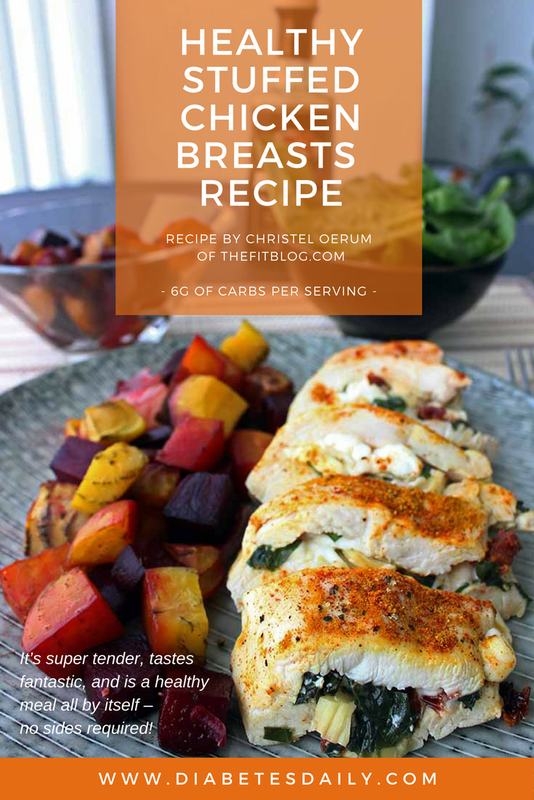 There are many ways to enjoy the chicken breast. 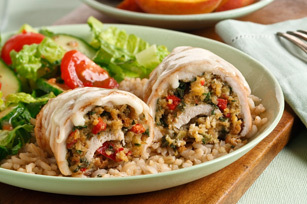 One of the most tasty is the chicken breast stuffed. It’s a dish simple and relatively quick to make, you can serve on a weekend day or on a lunch or dinner special, accompanied with rice, potatoes or pasta and a fresh salad. To inspire you, we selected the suggestions appetizing that you will love to experience. 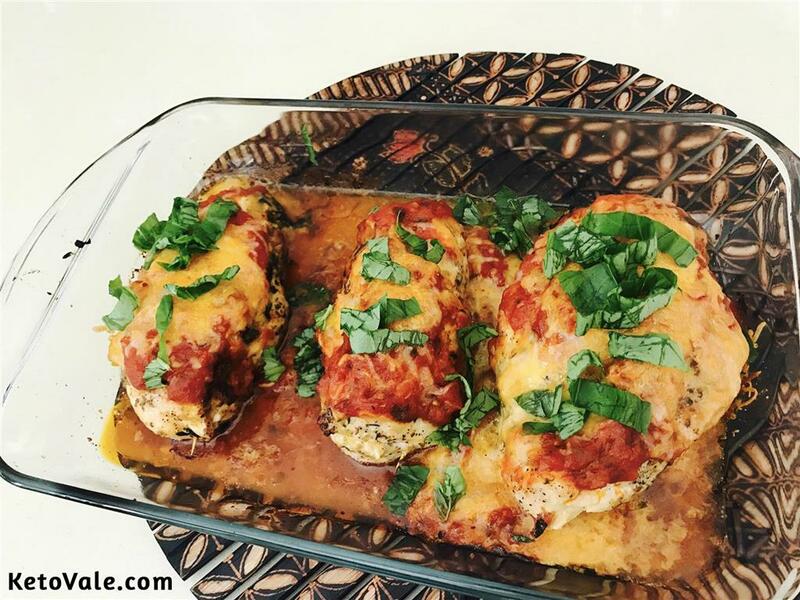 There’s chicken stuffed with cream cheese, mozarela, with eggplant, spinach and sausage. 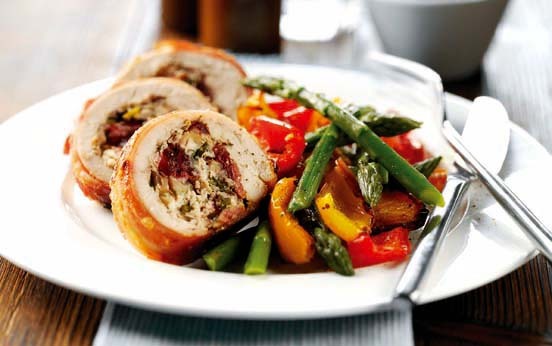 The first idea is a chicken stuffed with cheese-cream and covered by a sauce of onions, tomatoes, olives and fresh herbs. Chop the parsley and the thyme and place in a bowl. Add the cheese and mix until it becomes a folder. 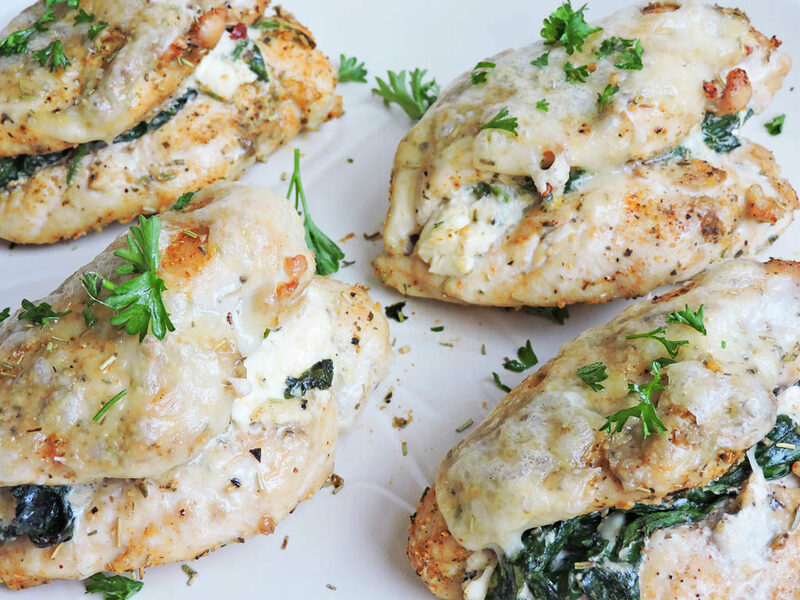 Open the chicken breasts without separating the halves, season them with salt and pepper and fill with the mixture of cheese. Close and tie with string from the kitchen. Turn on the oven to 180 °C, heat a frying pan and warm it up. Add a drizzle of olive oil and the chicken breasts and let them cook until they become douradinhos of both sides. Add the garlic crushed and the wine. Bake in the oven for 15 minutes. Peel the onions and cut them into slices. Heat a frying pan and let it heat up. Add a drizzle of olive oil and the onion and cook until onion is soft. Add the tomato cut in half and leave to cook until the tomatoes begin and bust. Add the olives cut into slices and season salt and pepper. Add the thyme, cover and turn off the heat. 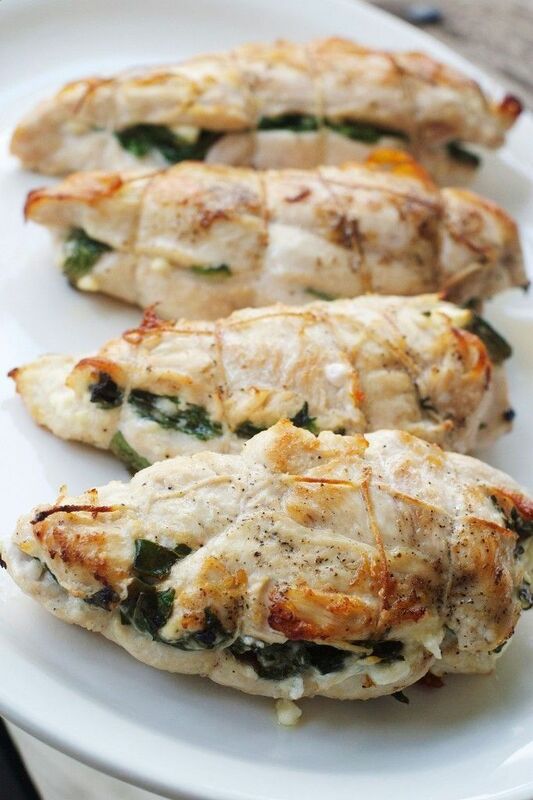 Remove the chicken breasts from the oven and let them rest about 10 minutes. After you remove the wire, cover it with the mixture of the tomatoes, drizzle with the sauce that is left in the frying pan and decorate to taste. 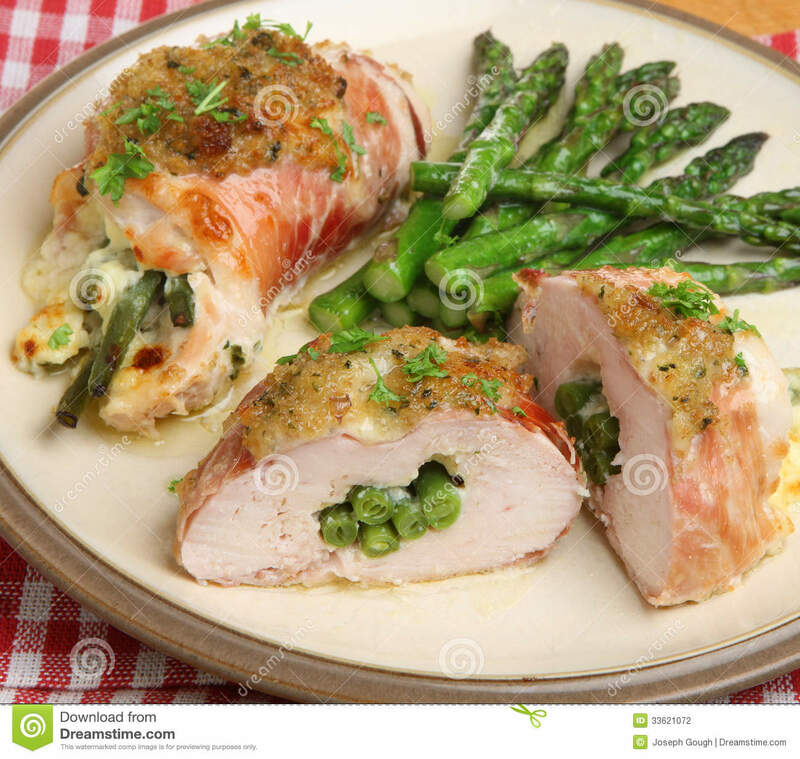 Another option is to stuff the chicken with cheese, but this time uses the mozarela. It is even more simple to prepare than the previous one. Start by opening the chicken breasts in half, like a book if it were. Cutting mozarela slices and place them on the inside of the chicken, followed by tomato and basil leaves. Close with toothpicks. Arrange the chicken on a baking tray lined with parchment paper and drizzle with a little olive oil. Season with a pinch of salt and pepper and bake in the oven, pre-heated to 200 °C, for 40 minutes. Past the time, is ready to serve with the accompaniments that you want. 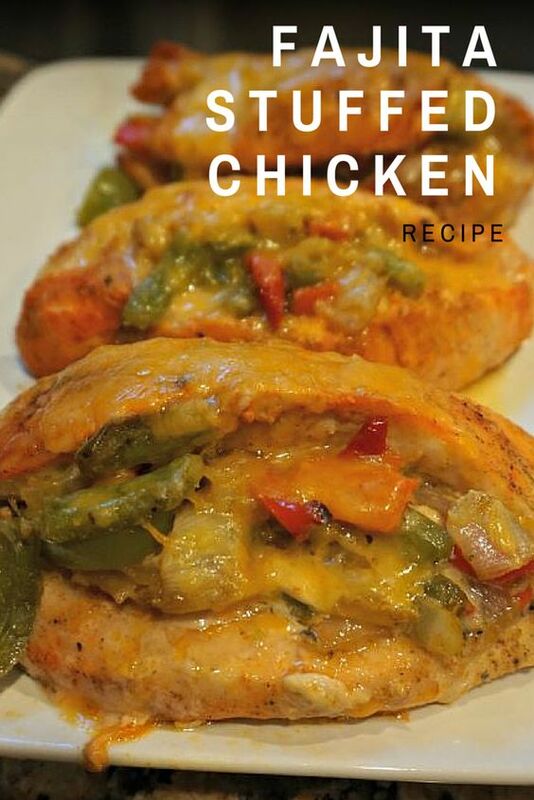 If you have eggplant and green beans in the fridge and want to give them a use appetizing, this recipe of chicken breast stuffed is the perfect option. 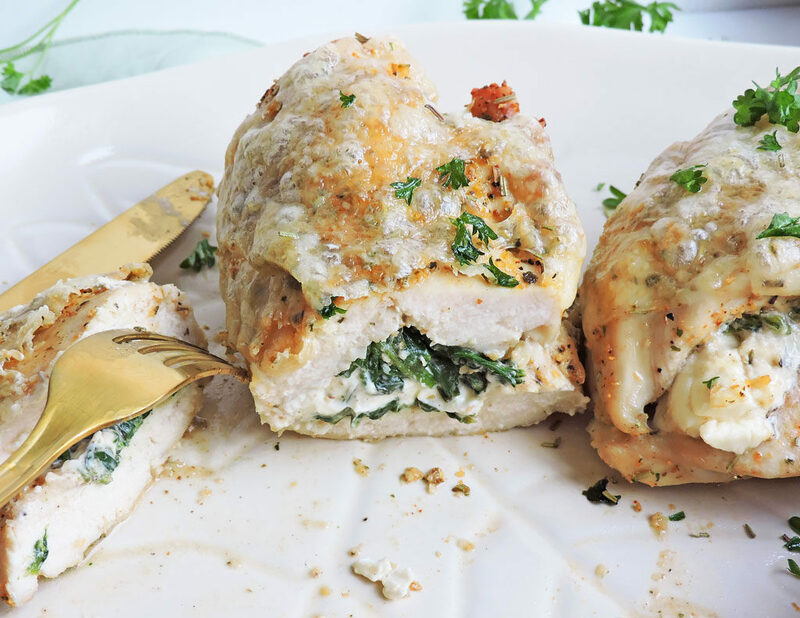 Open the chicken breast in half, without breaking it, and season with salt and pepper. Drizzle with a little lemon juice and set aside. Cut the eggplant into slices and the ham into slices roughly 5 mm thick. Turn on the oven to 180 °C. Place a slice of ham and one or two of eggplant on each chicken breast. Close and tie with string from the kitchen. Repeat this operation for the chicken breast rest and go by placing them in a bowl type dish. Drizzle with the wine and half the oil and bake in the middle of the oven between 15 and 20 minutes. Remove the ends and the wire to the green beans and cut them diagonally. Bake in boiling water with salt, drain it and set it aside. Peel and lamine garlic and sauté in the remaining olive oil. Add the green beans, season with pepper and let sauté. Serve the chicken breast was stuffed on the green beans. If you enjoy the mix of mozarela, feta cheese, tomato-dry and the spinach, this is the recipe that will elect as a favorite. Start by marinating the chicken breasts in a mixture made with olive oil, lemon, salt, pepper and sage. After you open the chicken breasts in half without cutting through to the end. Place inside the slices of mozarela cheese, feta, spinach baby and the tomato-dry and then close with a few toothpicks. 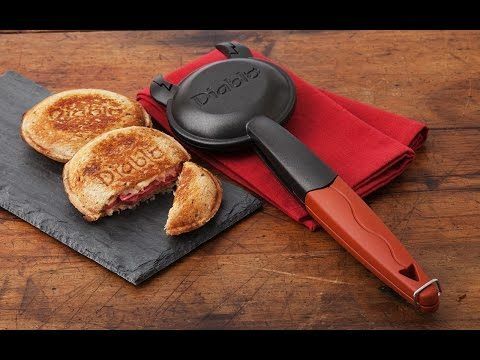 Bake in the oven, pre-heated to 190 °C, the inside of a frying pan or a pyrex dish sprinkled with olive oil, for about 20 minutes, until the meat is well cooked in the middle and the melted cheese. It is perfect to serve. To finish, a tip with the delicious flavor of the sausage. Is the same of eat and cry for more. Take the skin of a sausage and divide into 4. Wrap each piece in slices of cheese. Open the chicken breasts and arrange the sausages rolled in cheese inside. Season with salt, chili and close the chicken breasts. Place in a dish the olive oil, the chopped garlic, the thyme and pass by there the chicken breasts. Then pass them through bread crumbs. In a oven tray put a little olive oil and a bay leaf and put chicken breasts. Bake in the oven for about 20 minutes at 200 °C and can be delighted with this perfection and full of flavor.